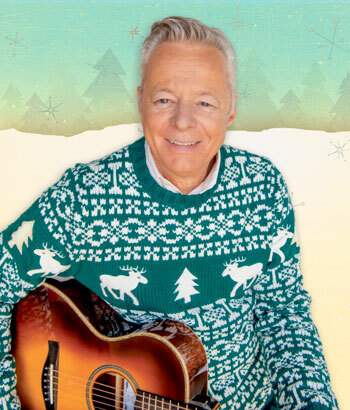 In the fall of 2017, world-renowned Australian “fingerstyle” guitar legend Tommy Emmanuel CGP released his second album of holiday music, Christmas Memories, showcasing new arrangements of Christmas favorites such as “Jingle Bells,” “Let It Snow! Let It Snow! Let It Snow!,” and “White Christmas.” In addition, the album includes three original tunes that are sure to become Christmas classics, including “Christmas Time,” “Let’s Make a Christmas Memory” and “Christmas Memories.” This was the holiday album follow up to All I Want For Christmas released in 2011. In support of his holiday catalogue, Emmanuel will embark on his third annual U.S. Christmas tour in the fall of 2017. 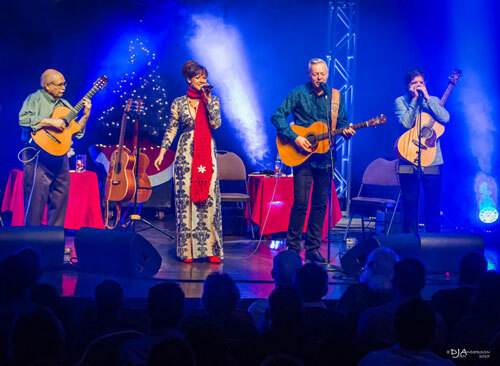 “The Classic & Christmas Tour” will feature one solo set of some of Emmanuel’s classic solo acoustic material, and one set of Christmas favorites where he’ll be accompanied by long-time friend and collaborator John Knowles CGP on guitar, Pat Bergeson on guitar and harmonica, and Annie Sellick on vocals. Tommy Emmanuel’s five-decade career has garnered millions of fans worldwide, along with two GRAMMY nominations. Emmanuel frequently threads three different parts simultaneously into his material, operating as a one-man band who handles the melody, the supporting chords and the bass all at once. His talents, which translate in any language, carry him to the far corners of the globe, but Emmanuel never plays the same show twice, and he improvises big chunks of every performance. Maintaining a tour schedule of nearly 250 shows a year, Emmanuel has been voted Favorite Acoustic Guitarist in both Guitar Player Magazine and Acoustic Guitar Magazine’s reader polls. Emmanuel’s catalogue includes over twenty musical recordings of solos, duets, ensembles, cover tunes, originals, utilizing both electric and acoustic guitar. Tommy Emmanuel is an honorary Kentucky Colonel, a CGP (Certified Guitar Player), an Order of Australia Medalist (AM) and the holder of an honorary Master’s Degree (MA). Covered, affordable parking near our theatre is available for patrons at the One American Center parking garage. For additional parking information, please click here.